My name is Kieran Shields and I’ve solved your riddle. I’m sure you know where you hid your own treasure so I won’t bother trying to explain your own clues to you but your poem was so beautifully crafted! I’m 19 and I’m from just outside Philadelphia Pennsylvania; I don’t have a car so my friend and I are setting out on an adventure to ride our bikes from Philly to Yellowstone to retrieve the treasure. Right now we’re trying to get some supplies together so our bikes don’t fall apart while we’re rushing to the park but we would love to meet you in Yellowstone and go to the treasure with you! If you can’t make it we’re planning on retrieving the treasure and riding our bikes to Sante Fe to meet you. Even if I’m wrong about the treasures location I want to thank you for inspiring me to go on this crazy adventure!! Thanks for being an adventurer, Kieran. I recently got back from a week in the Yellowstone area with my son, son-in- law and 3 grandsons. We had a great time despite the rainy weather some of the time. We did horseback riding, white water rafting, fly fishing in Yellowstone, spent two days searching for the treasure and toured Yellowstone for a full day at the end of the week. We each had our bear spray, satellite SOS device, walkie-talkies, and even a hunting knife as the weapon of last resort -yeah, like that would have really worked. We even had a doctor with us. My Son is an Emergency Room doctor that has served in Haiti after the earthquake and as Head of the Mass Trauma Unit in Kandahar, Afghanistan. We were prepared!! This will make four days that I have searched this area including when my wife and I did an initial recon last October for two days and this past week’s search. In our Chevy Suburban (4WD) rental, we began at WWWH, drove past the “Home of Brown”, past where there’s “no place for the Meek”, parked our car just like Fenn would have done and trekked into the “wood”, up a creek without a “paddle” and with heavy loads above. Nearly 78 years young and with a 20-pound backpack on, I limited it to where Fenn could have gone twice in an afternoon. Between the six of us, we covered a lot of area. If I recall, Fenn once said that children would likely have a better chance of finding the treasure than an adult. Humm, is that a clue? Well, I can tell you that the area we searched was a kid’s playground. No, we did not find it, but it sure looked like the most likely place Fenn would hide a treasure. It was an area where I would lay my bones. As Fenn said, “the mountains are my church”. The sun came out the second day and everything was gorgeous. Alpine meadows of wild blue flowers sprinkled with yellow set against the tall green pines and grey boulders under a clear blue sky. Everything seemed so brilliant and full of life. All six of us climbed up nearly 6 or 7 hundred feet the first day and determined that even though it was a fantastic day in the mountains with unbelievable views, it wasn’t a place where Fenn would have gone twice in the afternoon. So, after the six of us had thoroughly scoured the mountain side and with my strength beginning to wane, we ruled out that area and zeroed in on the most promising area for the second day. After a long and treacherous drive over heavily rutted and muddy roads back to our motel, we all sat down to diner and discussed what we would do the next day. Everybody slept soundly that night. At a lower altitude on the second day we climbed over boulders and tree stumps for hours looking for the treasure. It seemed that around every turn there was a place where the chest could have been hidden. So many places begged an invitation for inspection. If I had been a teenager in the 40’s and my Father was fishing nearby, I would have explored every nook and cranny of this place with my brother. We could have easily walked right by the treasure and not known that it was within a few yards. I was a little worried that we might encounter snakes or other nasty critters when looking into dark crevices, but luckily none appeared. The boys used their flashlights and poked into small places with their walking sticks that they fashioned from fallen limbs. The most dangerous animal we encountered was a chipmunk as it ran across our path. We did find a recent kill by a bear. By the looks of it, my son said that it was probably a few days old. It was hard to tell what kind of an animal it was since it was scattered and torn up so much. We didn’t investigate too closely or hang around that spot too long. We “tarried scant”. The area was littered with sheep and elk droppings as well as animal bones scattered in a few places. Some of the bones were pretty big but looked suspiciously placed. Almost as if someone had put them there. Anyway, the kids got a kick out of that. We actually found a “Blaze”, but not the type that I thought it could be. We were looking for some kind of blaze coloring on a rock or some kind of Indian petroglyph that Fenn would have found. Then my Son called me over and pointed it out to me. I said, “Wow, yeah that could be it”, but there was no treasure box to be seen unless we just overlooked it. There were a hundred nearby places where the treasure could have been hidden. The blaze will still be there in a hundred or more years unless someone destroys it. There have been two things in life that seem to have fascinated Fenn – Indians & Fish. This area seemed to satisfy both. I encouraged the boys to look for arrow heads, but none were found. There was one spot that could have fit the “worth the cold” clue. We found a downward, opening recess in the side of a hill big enough for a person to enter. It led sharply down for just a short distance (not a cave) where we could go in and inspect with our flashlights. But the interesting aspect was that the air must have been at least 20 degrees (or more) colder. Humm. Anyway, there was nothing that we could see that looked like a chest. I don’t think at this time that I will return, but just in case that the bug gets to me in the future, I’m keeping my solve to myself. In the meantime, I’m going to closely review all my photos and videos to see if anything shows up. I even flew a drone over the area and recorded some nice scenes; but the bottom line with a drone is that it is useless in finding the treasure. It might make an entertaining video on UTube, but that’s about all. At the end of the second day, I discretely deposited between a couple of rocks some fake gold coins and colored glass beads that I had carried with me. I then called the boys over and declared that I found something. The boys came over, looked at me and said, “are you kidding. Did you just put them there?”. So much for my surprise. My first attempt with the drone on day 1 was less that professional. I tried to use the DJI Goggles with my Phantom 4 Pro Plus, but the goggles locked up on me after a minute and I had to rely on the remote built in viewing screen. At one point I thought I lost it and couldn’t visually locate the drone. I then initiated an automated “Return to Home” sequence. The drone was out of sight, approaching 400 ft altitude and maybe a half mile away. Then, the drone failed to respond, and it wasn’t coming home. Well, I could feel panic beginning to set in. The drone was nowhere to be seen and it wasn’t doing what I expected or at least what the manual said would happen. I could see that this was a recipe for disaster and mucho bucks down the drain. If you have ever piloted a plane, then you know that it’s easy to get lost if you’re only VFR qualified and can’t see any recognizable landmarks. Try that while looking at a 5-inch screen on the remote controller and the only thing you can see are acres of green trees. Then superior navigational skills kicked in and I maneuvered the drone so I could see a few landmarks and managed to safely land it back to where it initially took off. The second day I was much more with it. Goggles and drone worked flawlessly. I did discover one thing. If you ever fly one of these drones with the DJI goggles, use the gimbal tracking mode that will slew the drone as you turn your head. Using the camera gimbal mode as I initially did can be confusing since the drone direction and camera are not in sync. Using the gimbal tracking mode is more like driving the drone. It goes where you point your head. I did make a movie about my recon last October, but it’s for family only since it reveals my search location. Everyone got a kick out of it. Maybe the Grandchildren will look on it in future years and remember Papa and Nana. I’ve included a few photos of our trip. On June 6th this year I made my first BOTG search, and I was surprised at what I found at my final destination. Similar to another searcher who recently posted their story, I travelled to Montana from Australia, specifically the city of Newcastle in New South Wales. You have to be very committed and confident to sign up for 30 hours of travel and a few thousand dollars in costs but my research was solid, ticked many boxes and was unique so I thought it warranted a try. Like many searchers before me my WWWH began as the Boiling River, or Mammoth Hot Springs and later La Duke Hot springs. 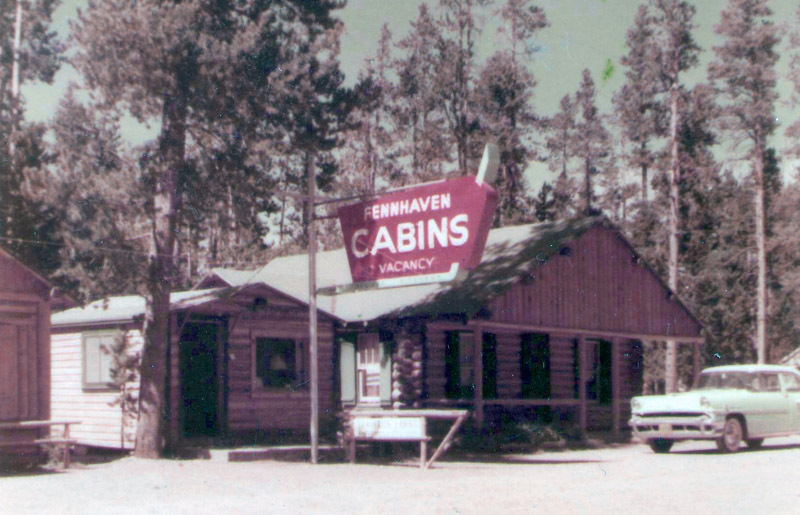 Other searchers have made many connections with Rooster Cogburn, the Sherriff, Marion Morrison from scrapbooks and interviews. The line of the poem “So hear me all and listen good” could be a hint at John Wayne’s quote “Listen up and listen good”. I haven’t read any further references to link that “Duke” is a nickname for John Wayne. La Duke Hot Springs is just up the road from Gardiner and there used to be a large hotel and baths on the site utilizing the warm waters for travellers coming to visit Yellowstone or workers at the coal mines in Aldridge. You could consider a hotel a stop or a halt. There was also a train stop here, also called a halt. Here’s the thing though, I don’t think WWWH is any of these. I used these locations to direct me to my HOB and blaze, but my logic took me down a different path for WWWH. I had found a map of every hot spring in the USA. They do not halt at the Yellowstone caldera, they go all the way up through Canada. In my opinion WWWH is not a hot spring. Forrest has stated that several people have solved the first two clues without realising their significance. Several. However 1000’s of people use a hot spring or Madison River confluence or the New Mexico fishing regulations as their WWWH, not several. So the correct answer must be something more obscure. I was sure that my blaze was correct though and so I considered the most obvious nearby canyon and looked at what was at the start of that canyon to see if it could relate to Warm Waters. I freaked out, because on the very first day I started researching the chase this information crossed my path. I had tried finding lyrics and buying the album but it didn’t seem to be significant or connected to the treasure. However why when I added Jardine to warm waters did this album pop up again? Well, Al Jardine from The Beach Boys sang on the first song and on the Wikipedia page his name is in the first paragraph. Previously Forrest has said that a detailed map and good knowledge of geography will help find the treasure and I think this fits. If you know that there is a small town called Jardine near Yellowstone you might notice that name Al Jardine. The album was recorded in Malibu and Forrest’s plane was a Piper Malibu…. this is most likely nothing but an interesting connection none the less. I am not sure how “halt” fits in. Perhaps the name Al is in the word halt? Perhaps it is “warm waters salt” referencing the Beach Boys. I couldn’t find the lyrics to the song Warm Waters, maybe it is something to do with the last word, words or line. Here is another important concept that helps explain why WWWH is so important. When Mr Fenn started this chase he knew exactly where he wanted to die and hide the chest. It seems to me all of the clues are reverse engineered, i.e. he wrote the last clue first and worked backwards to the starting point. Since he has stated the WWWH is the first clue, it would make sense this is the last clue he wrote. This means it would also be the hardest and vaguest because he could get more specific as the clues progress in the poem. Yes, Forrest went alone to hide his treasure. A weir is a name for a low dam on a river and I think his secret weir is a spot on the Yellowstone River that has two slight dams that at different river heights trap trout in pools that allow for awesome fishing. WWWH is Jardine for reasons already detailed. Start there and go down the canyon. It is about 3 miles until you get to a small put in overlooking the canyon and Joe Browns mining claim and house. Joe Brown lived in Cooke City and Gardiner but also lived on his claim. From there head to Bear Creek/Bear Gulch, you can’t be meek trekking in a place with bears, you must be brave. Possible reference to Joe Meek but meek isn’t capitalised in the poem, so perhaps just a subtle hint. Look to the nigh side of the creek and nigh side of the river. This is the left side when looking down stream. No paddle up the creek, you are going down Bear Creek, not up and you will be walking. There was heavy lode mining done here, look at the high water mark. And this is what you will see. When Mr Fenn was 16, Forrest and Donnie went looking for Lewis and Clark on horseback and Forrest’s horse’s name was Lightning. Here is a picture from The Thrill of the Chase, as you can see Lightning’s blaze is a perfect match to the marking on the mountainside. Look down and to the nigh side of the Yellowstone River from where the blaze is and you will see the tarry scant. A “scant” is a masonry term for a large rock cut down vertically on both sides to the bedrock. There have been quite a few searchers that have mentioned this general area and the blaze but none went to the other side. This makes sense of Forrest’s comments that people have been within 200 and 500 feet of the treasure, they simply haven’t crossed the river. Most people go searching for the chest in June and July during summer vacations, but this is when the Yellowstone River is running very high from the snow melt and getting across is very hard. However if you are at this spot in September the river is low and there is an easy way across. Forrest having grown up around this area would know this. For my journey I chose a different route. Jeff Murphy’s path took him to Turkey Pen Peake, and I saw that if I followed the same trail I could reach my destination without crossing the river. This confused me because I had always believed the chest would not be on BLM, NPS, Indian, federal or private land. It made more sense to be public land due to the legalities of finding lost/abandoned property. The trail starts in Yellowstone National Park so I found a map of the park to check the borders. As for Forrest leaving the treasure, back in 2009/2010 when he hid the chest, you used to be able to walk about 3 miles from Gardiner around the cliffs on another trail. This has since been closed due to land owners complaining about trespassers (probably searchers to be honest). I believe Forrest walked this route and crossed the river late August/ early September. Lastly I think the twin Omegas are a hint at the Roosevelt Arch at the north entrance of the park. You can look at the gate as both one enormous omega, but also the smaller doors on each side also look like omegas. So I arrived at my parking spot around 8am on Wednesday the 6th June and started my 3 mile hike. It was a beautiful day and straight away I saw some Pronghorn a little way off the trail. It was definitely weird being alone in totally foreign wilderness with no gun, only bear spray and plenty of wildlife around. The noticeboard at the trailhead had mentioned a bear had been sighted in the area a couple of weeks earlier and this was confirmed by these tracks I found only a few hundred feet along the trail. I kept hiking, talking to myself to make noise and before long turned the corner around the hill to catch the first sight of the blaze. The hike to the spot only took around 30 minutes and upon arrival the river was in full roar. This is exactly where I thought Forrest had hidden the treasure. You can see a large boulder that appears to have an alcove or space behind it that could hide the chest and keep it out of direct view of people and google earth. The actual area is an awesome secluded spot, off the trail, plenty of animal bones and fresh scent around. You could easily imagine setting up camp here and fishing for days, away from the crowds, and the law. I carefully descended to the ledge and large boulder I believed the chest to be hidden behind and this is what I found. I searched in and around this pile to no avail. Those big rocks are about the size of an office desk, not easily moved. There were a lot of spider webs around, and potentially rattlesnakes so I didn’t really want to stick my hand inside too much. It didn’t make sense. I had checked multiple satellite imagery sites and all of them had the boulder vertical and intact. I know that google earth is only updated every now and then (over my house is about 5 years old) however the cliff face was old and weathered, and didn’t look like there was a freshly exposed area to suggest that the cliff had partially collapsed. It almost looks like the boulder had been recently destroyed/broken/exploded by human intervention. I searched all around the ledges, on the scant, around the water’s edge but found nothing. Now we have all heard many times people saying the treasure has been found. In my opinion this is the correct spot that Forrest left the chest. Maybe I am simply gifting the chest to someone else who will travel here in the future because it is still there and I just couldn’t find it. I didn’t take a metal detector with me and couldn’t check the rock pile thoroughly. It could also be that someone found the chest and in the process broke the large boulder. It was heart breaking to walk away, but it was awesome fun searching. On the way back I nearly stepped on a young Bull Snake or Rattlesnake, had a small herd of Pronghorn sniff me up and down and saw a grizzly about 500 metres (1/4 mile) away scratching on a tree. I have video of him but not a very clear photo, I didn’t really want to hang around. So many memories, cool people met, great local beers consumed and no regrets. Hope you enjoy reading my story as much as I did living it.